READ: We’ve got two shows this week. Check them out on Central Track’s and DC9 at Night’s lists of things to do this week. SPILL: Check out this article Central Track did on our appropriately re-named SPILLOVER (RIP Bro Fest). SPILLOVER (and our Blowfly show) also made DC9 at Night’s top show announcements the week we announced it. LOOKING BACK @ 2012: What a great year for us. 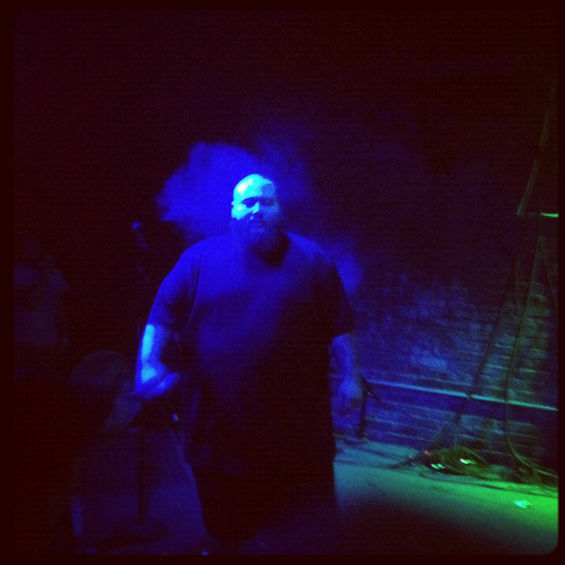 Our Action Bronson show (9/23) made Dallas Observer’s list of not only, “The 20 Most Memorable Concerts of 2012,” but also “Ten of the Best Concerts of 2012.” We brought through lots of artists whose albums were not only on John of Flesh’s top albums of 2012 list, but also lots of cool, important DFW music people’s list, according to The Dumbing of America. Several of our shows made Central Track’s list of “The 35 Best North Texas Concerts in 2012:” #2 Screaming Females (10/8), #11 Lightning Bolt (8/28), #15 King Tuff and Natural Child (11/4), #19 Big Freedia (12/31), #22 Action Bronson (9/23), #29 Turbo Fruits (12/14), #31 Title Fight and Power Trip (11/13). As always, thanks for your support, and we’re really looking forward to seeing all of you at our shows this year! This entry was posted on January 9, 2013 at 1:28 pm, filed under News and tagged action bronson, big freedia, blowfly, corrections house, king tuff, lightning bolt, natural child, neil hamburger, power trip, screaming females, spillover, the babies, the growlers, tim heidecker, title fight, turbo fruits, ty segall, widowspeak.